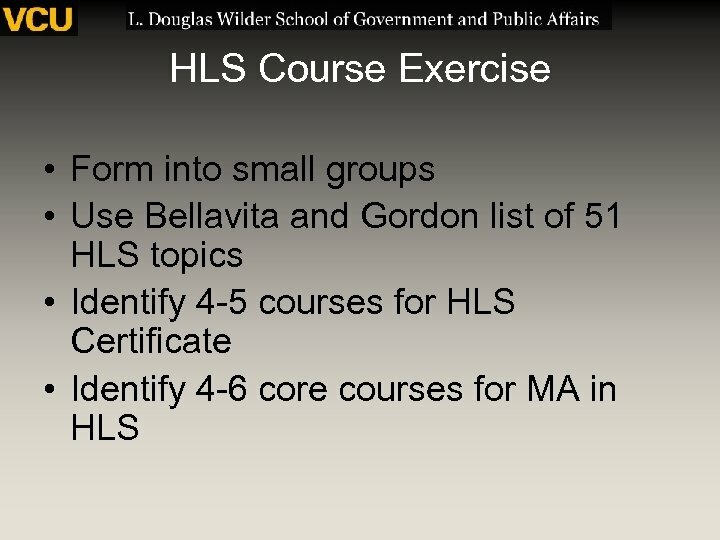 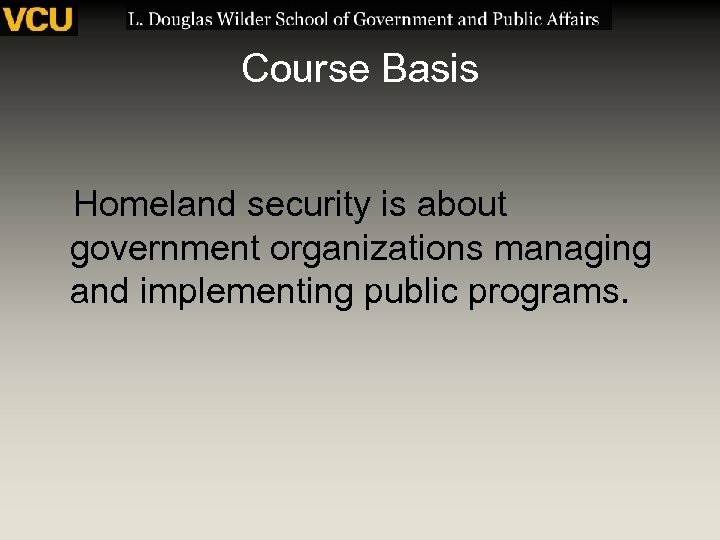 Course Basis Homeland security is about government organizations managing and implementing public programs. 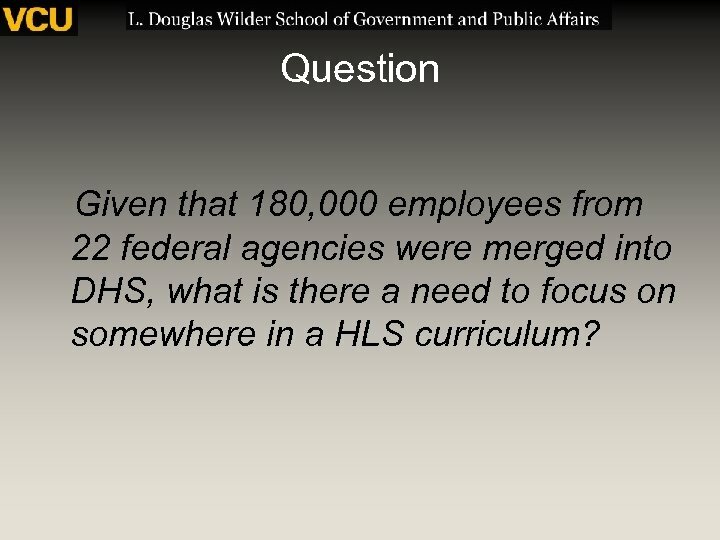 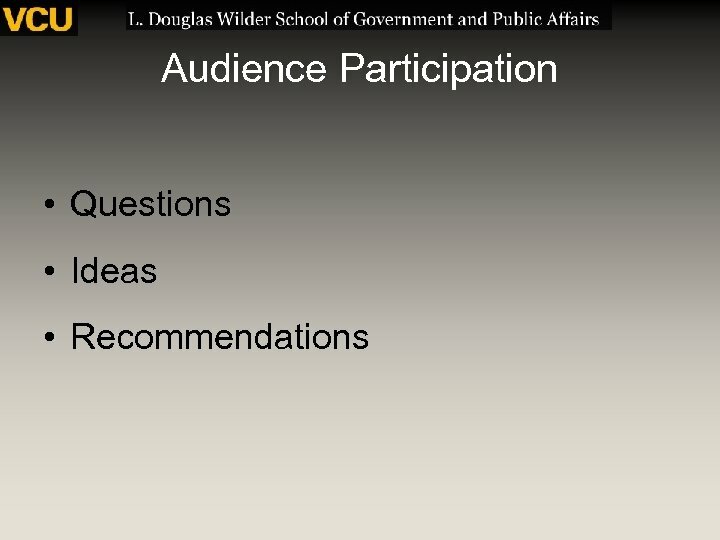 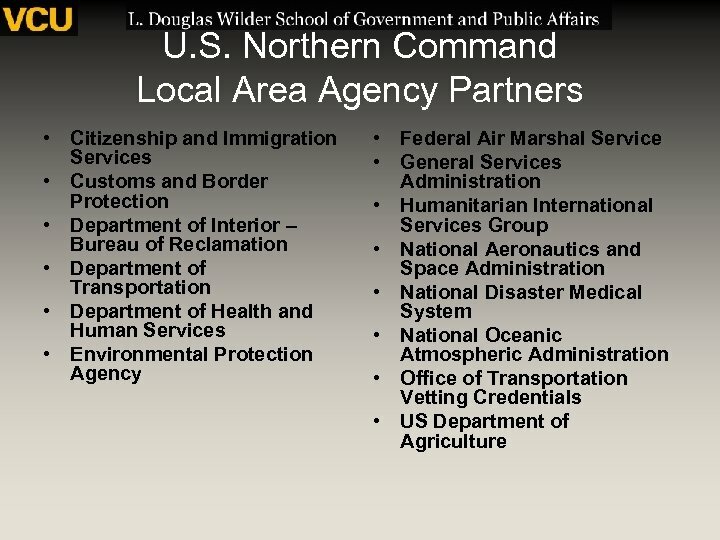 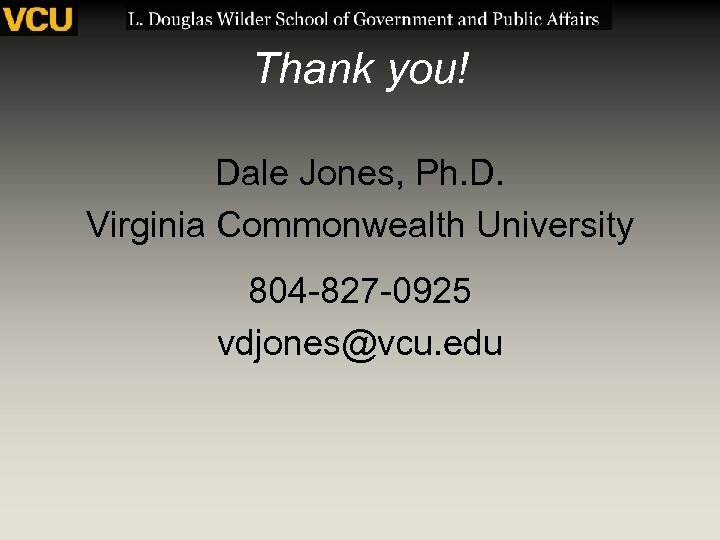 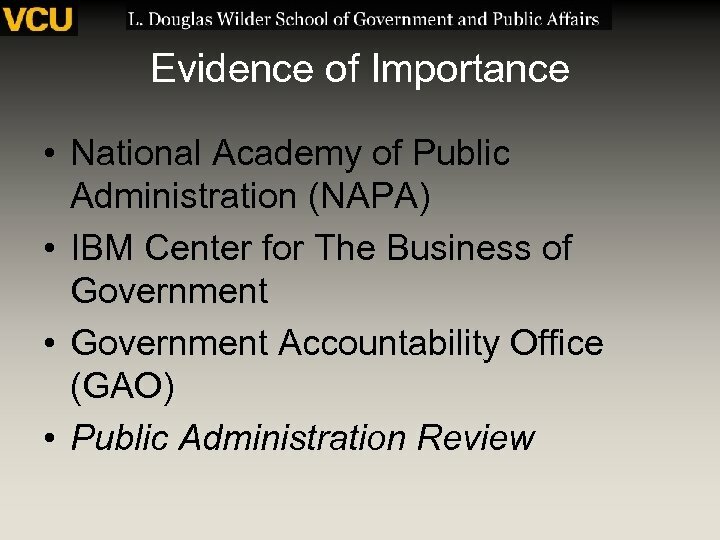 Question Given that 180, 000 employees from 22 federal agencies were merged into DHS, what is there a need to focus on somewhere in a HLS curriculum? 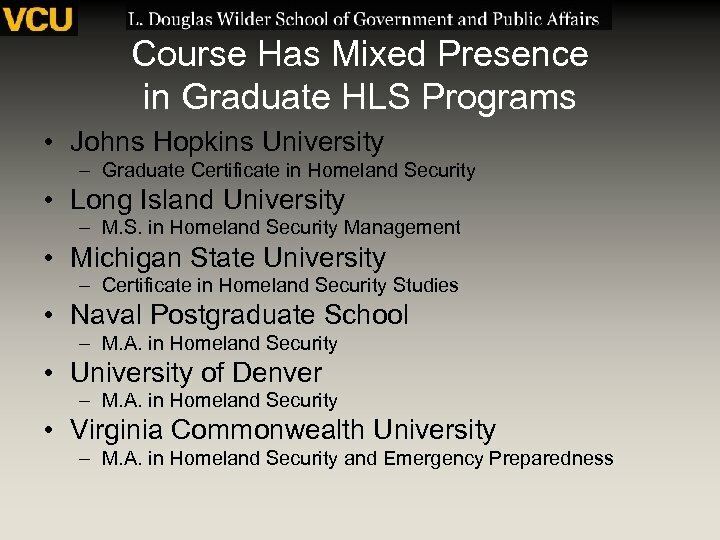 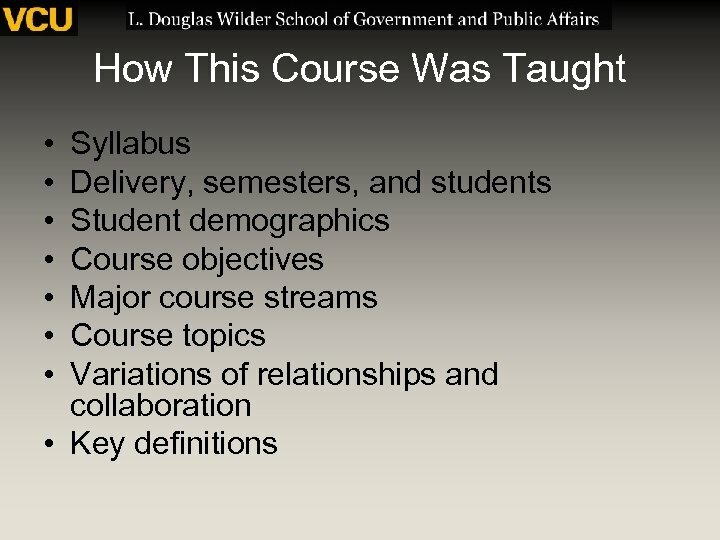 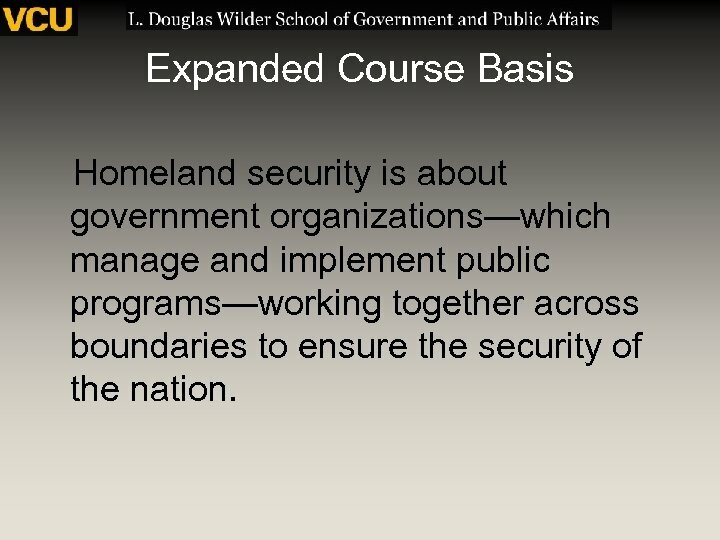 Expanded Course Basis Homeland security is about government organizations—which manage and implement public programs—working together across boundaries to ensure the security of the nation. 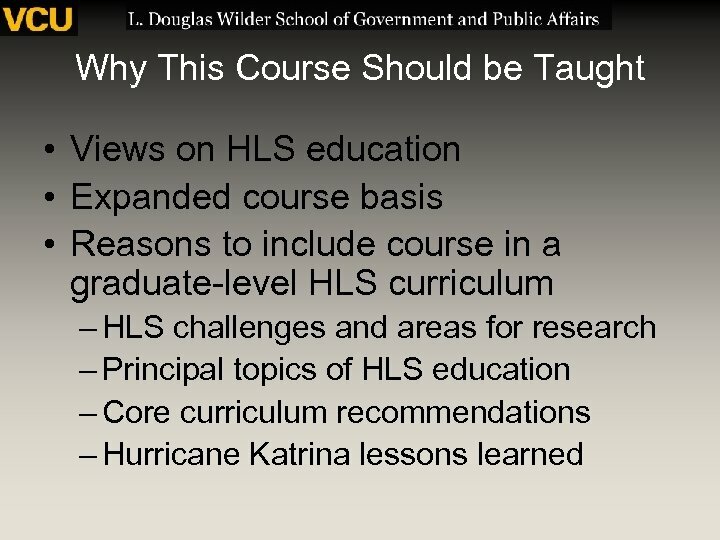 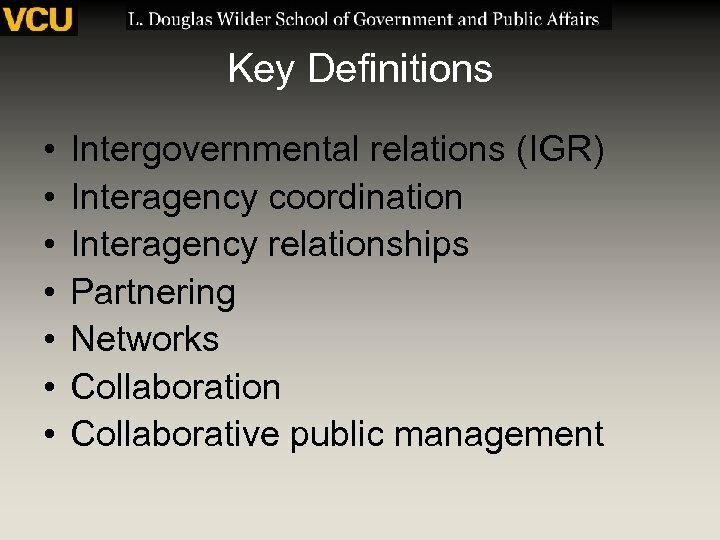 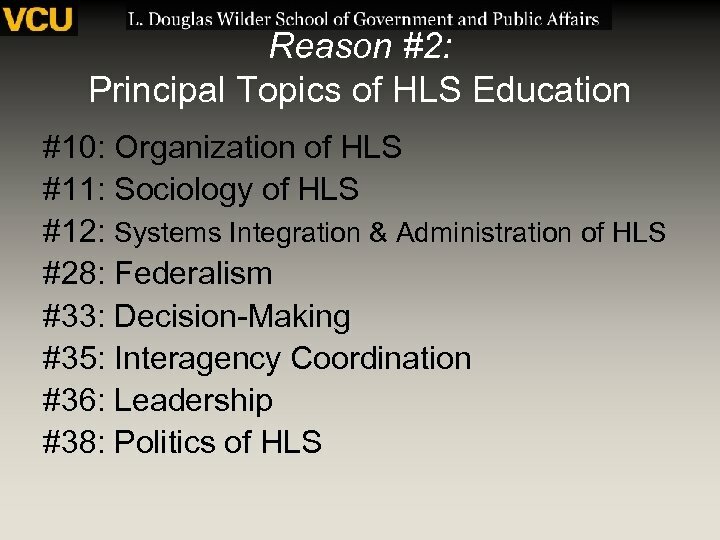 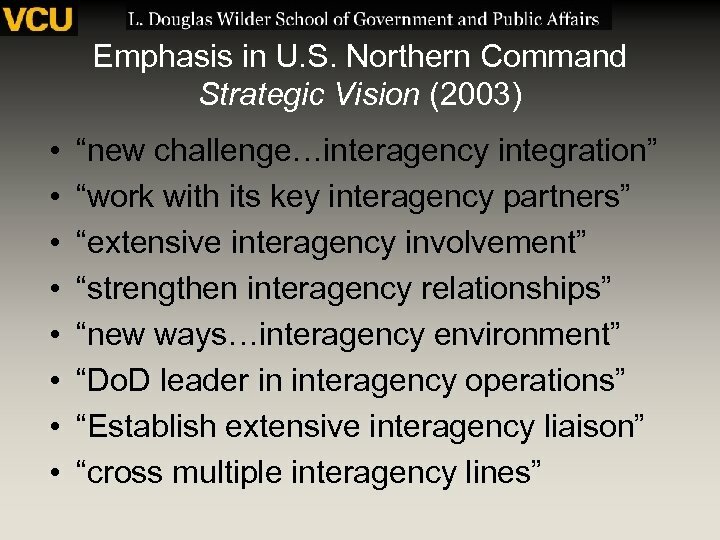 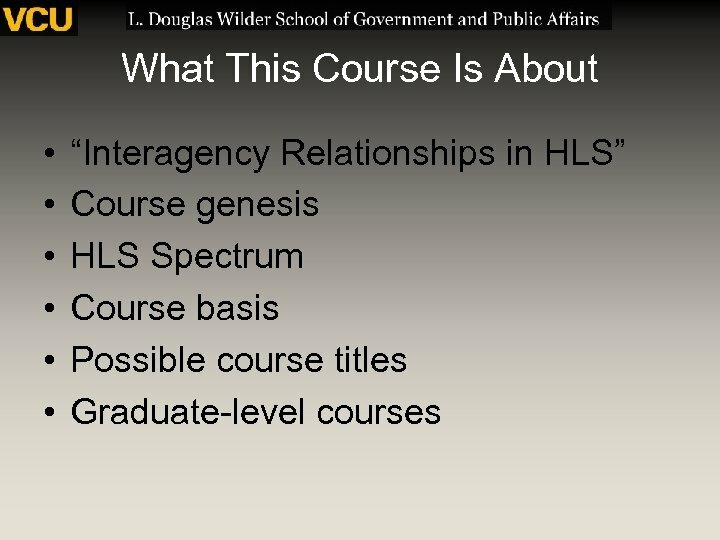 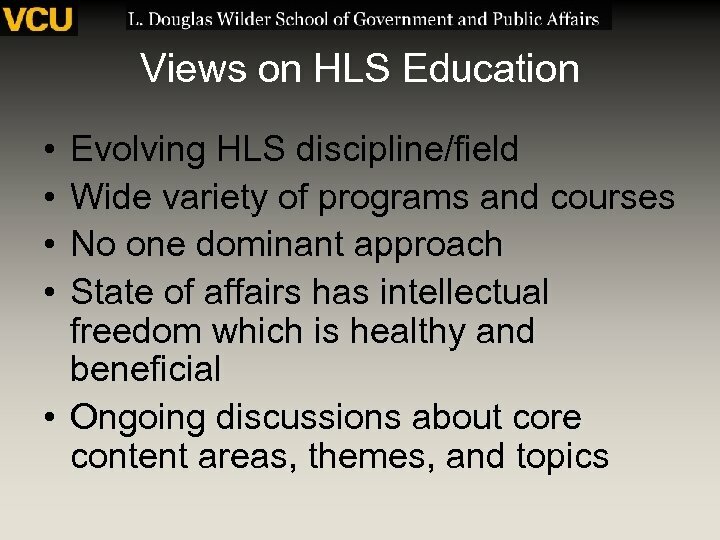 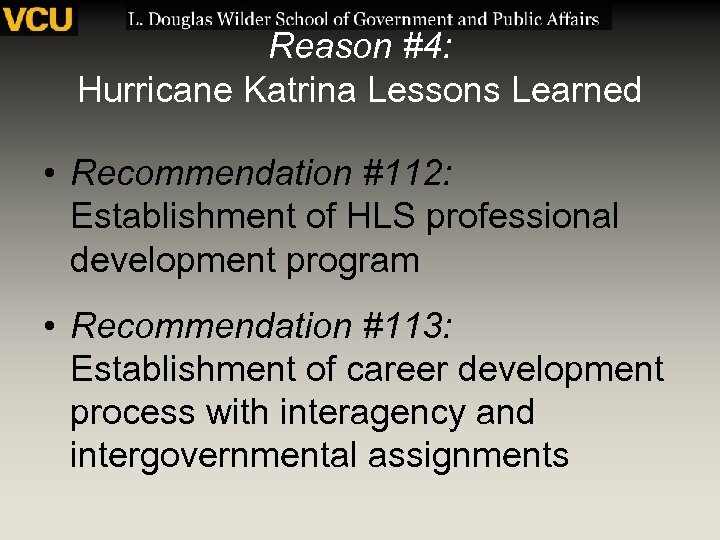 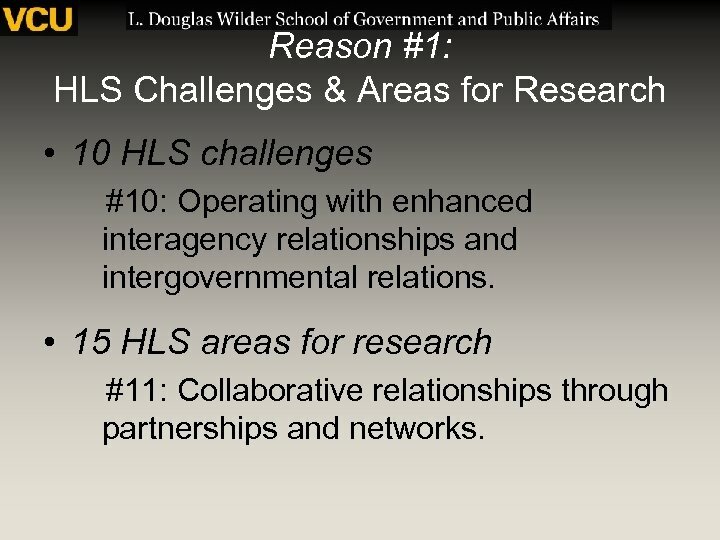 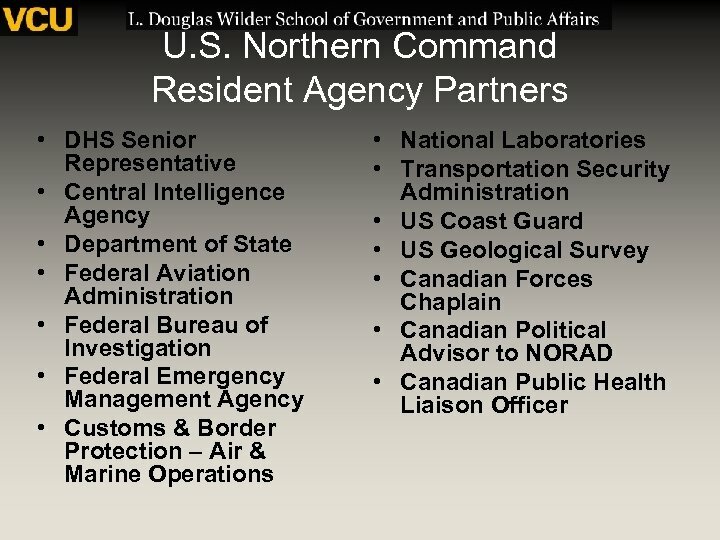 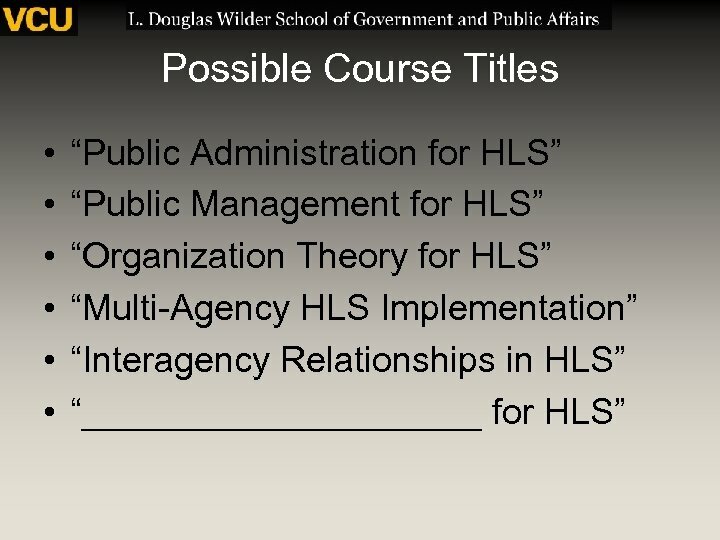 Reason #1: HLS Challenges & Areas for Research • 10 HLS challenges #10: Operating with enhanced interagency relationships and intergovernmental relations. 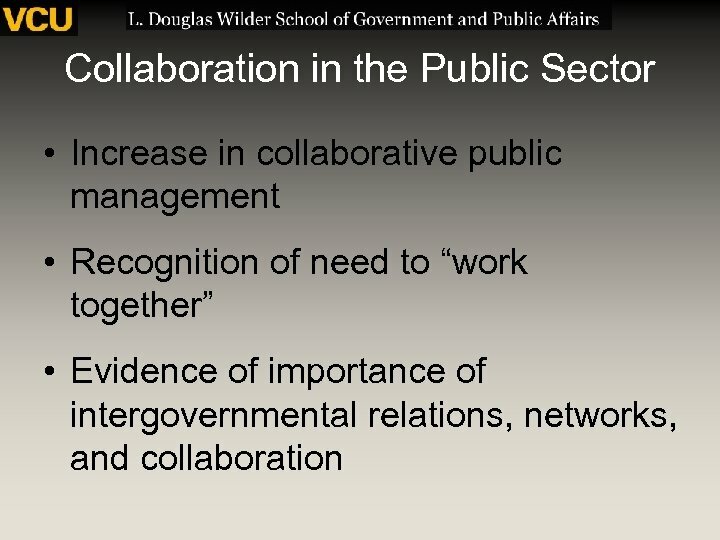 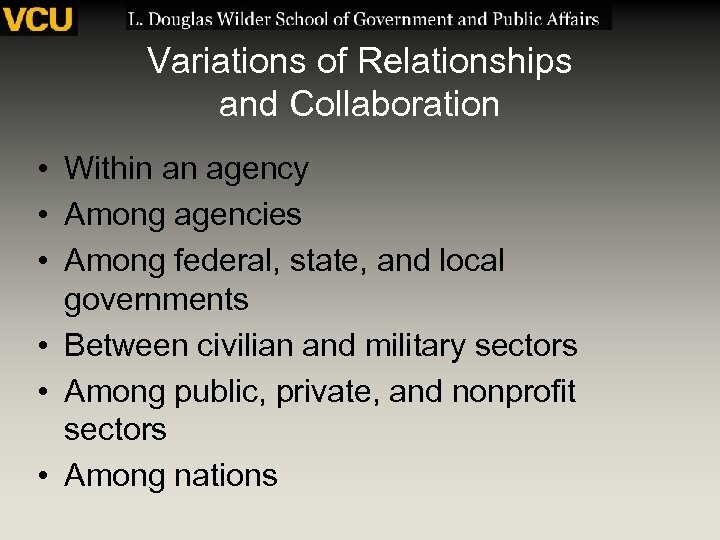 • 15 HLS areas for research #11: Collaborative relationships through partnerships and networks. 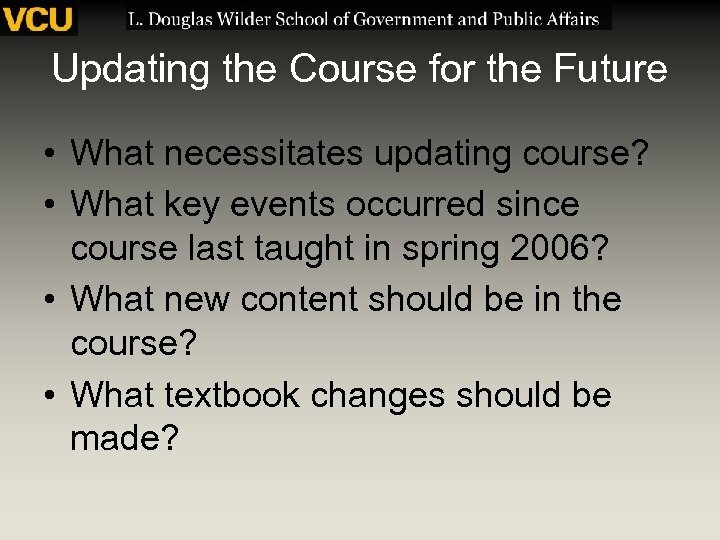 Updating the Course for the Future • What necessitates updating course? 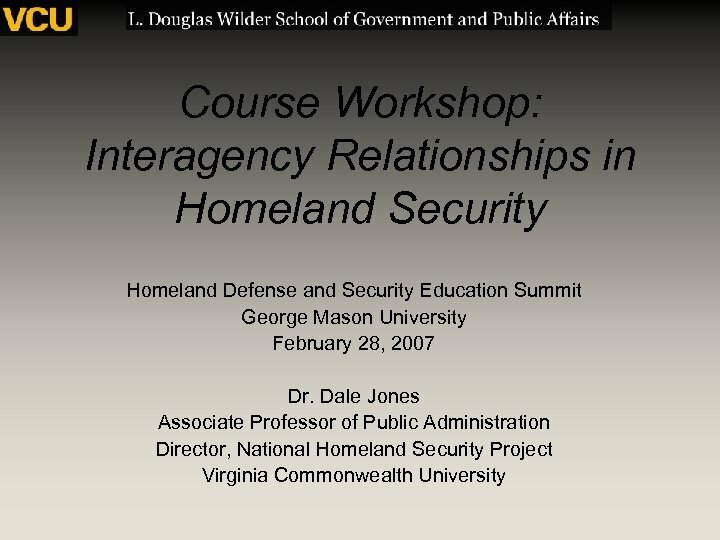 • What key events occurred since course last taught in spring 2006? 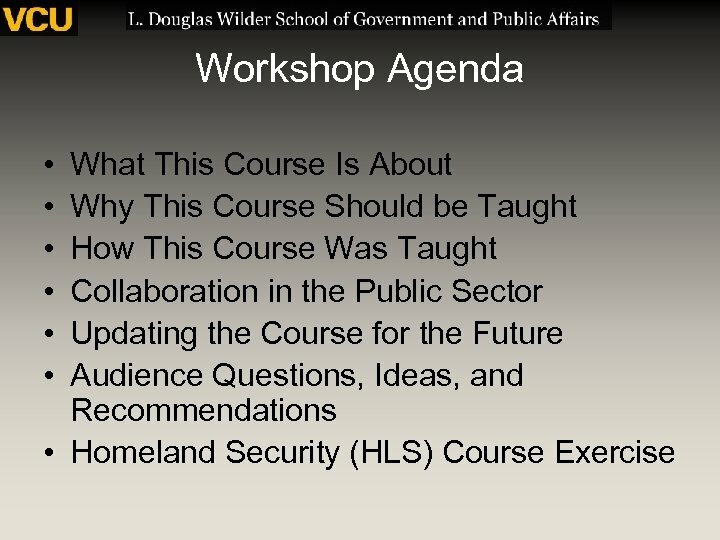 • What new content should be in the course? 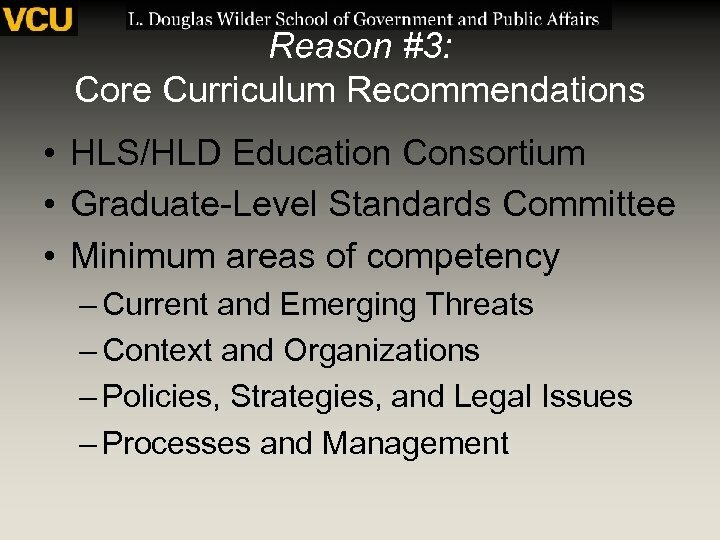 • What textbook changes should be made?